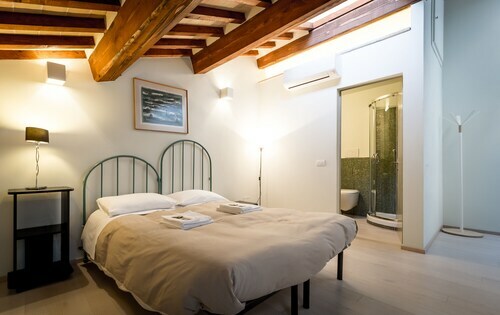 So, you're thinking about a trip to Torre di Pulcinella? 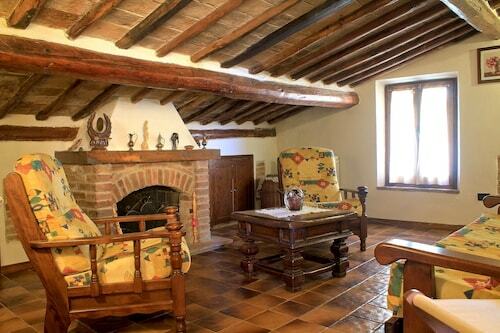 You'll find the attraction in Val di Chiana, 90 miles (145 kilometers) out of Rome, the capital of the country. Just as important as your itinerary is your pick of accommodations. 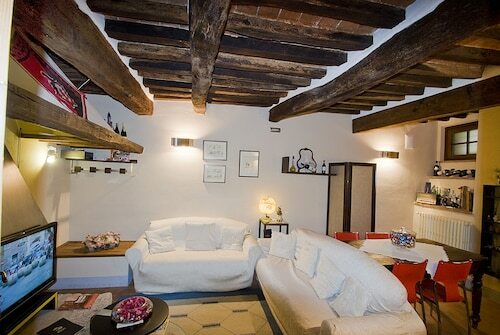 Fortunately, there are 26 options within a short distance of Torre di Pulcinella. The Il Tosco and the Palazzo Carletti are two places that are only 0.4 miles (0.6 kilometers) and 0.2 miles (0.3 kilometers) away, respectively. 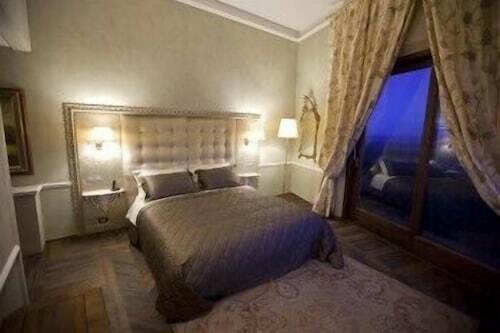 You might also consider the Etruria Resort & Natural Spa, located 0.4 miles (0.6 kilometers) away. Make your cash go farther by spending a night at one of the less expensive hotels that are available here. 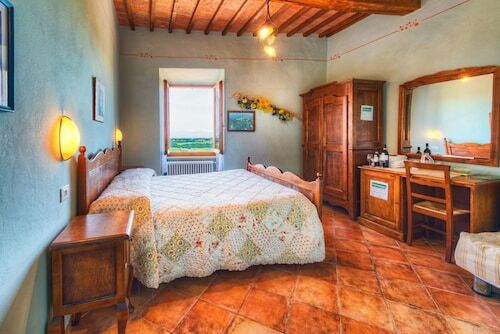 The Fattoria San Martino and the Bed & Breakfast Vicolo dell’Oste are firm favorites, and they're only 0.6 miles (1.0 kilometer) and 0.2 miles (0.3 kilometers) away, respectively. You'll find several top-end establishments a short commute away, perfect for when you're feeling a little extravagant. 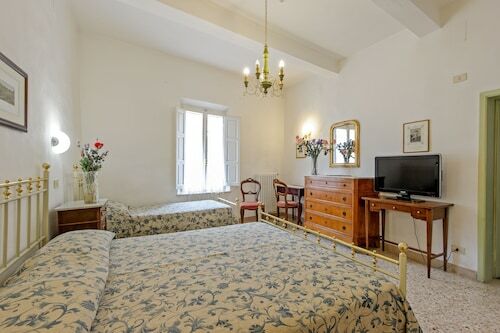 You may want to consider the Alexander Hotel Palme and Hotel Rotelle. Perhaps you need a coffee or two to get through your to-do list? 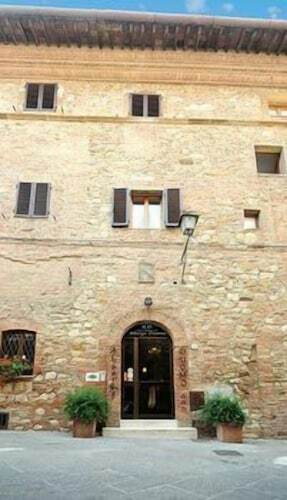 Bar Stella (Viale I Maggio, Montepulciano) is just 0.1 miles (0.2 kilometers) away, and it's considered one of the better coffee houses to satisfy your needs. For food that's more substantial, be sure to take your appetite to Grotta di Nano (Via di Gracciano nel Corso, Montepulciano). Consider going on a visit to Church of St. Augustine, a place of worship as well as a local tourist attraction. 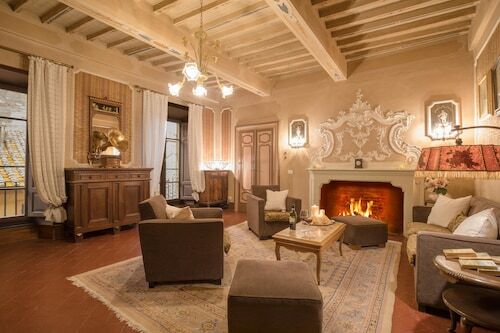 You'll enjoy exploring Palazzo Avignonesi, a historic public square that attracts both locals and tourists. Enjoy some inspiration, in addition to education, at Civic Museum, which acquires, secures and displays art to help contribute to the local culture. Church of St. Agnes is a pleasant house of prayer. You can just admire it from afar or see if you can make arrangements to look inside. 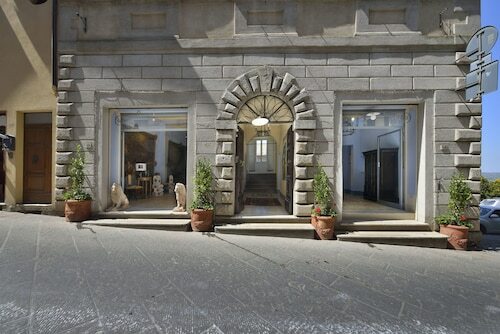 Visit Piazza Grande, and try to visualize what went on there hundreds of years ago. 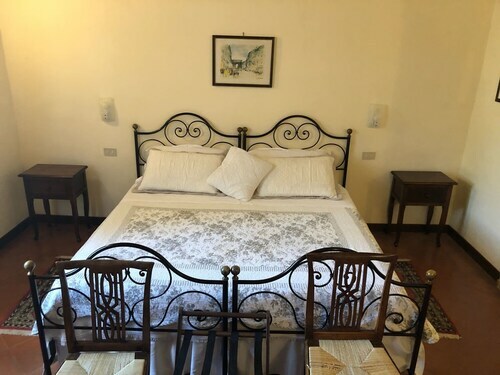 How Much is a Hotel Room in Torre di Pulcinella? 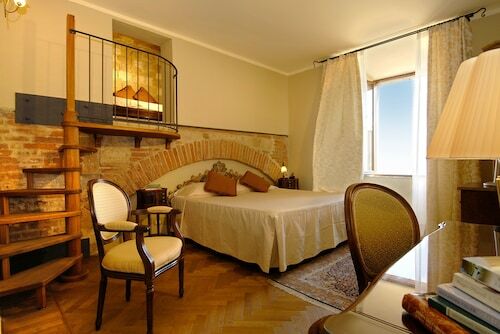 Hotels in Torre di Pulcinella start at $87 per night. Prices and availability subject to change. Additional terms may apply.